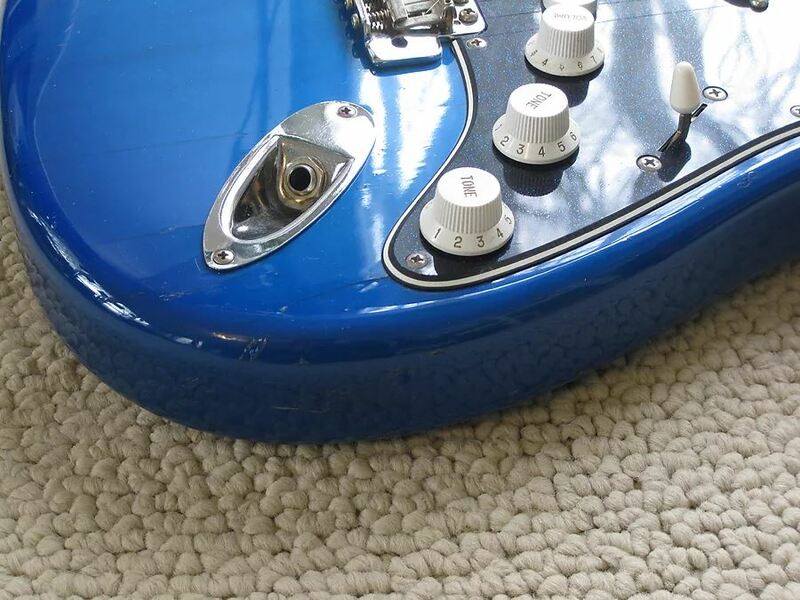 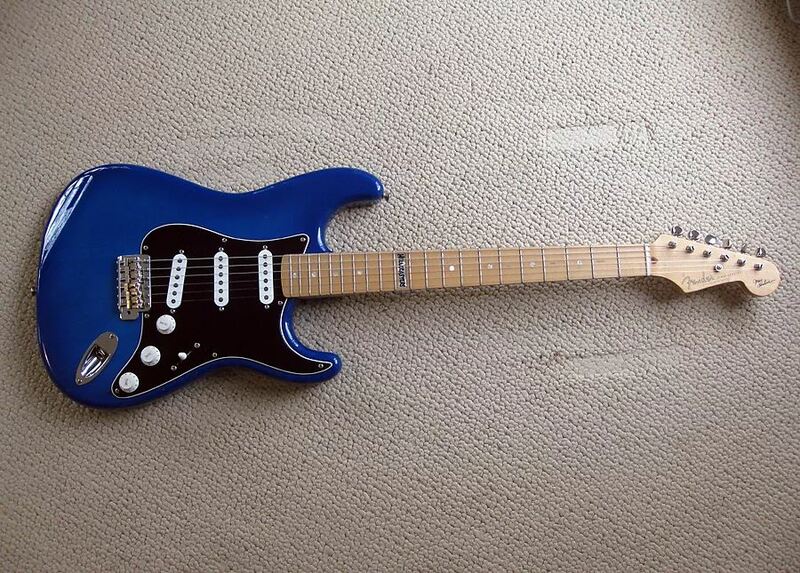 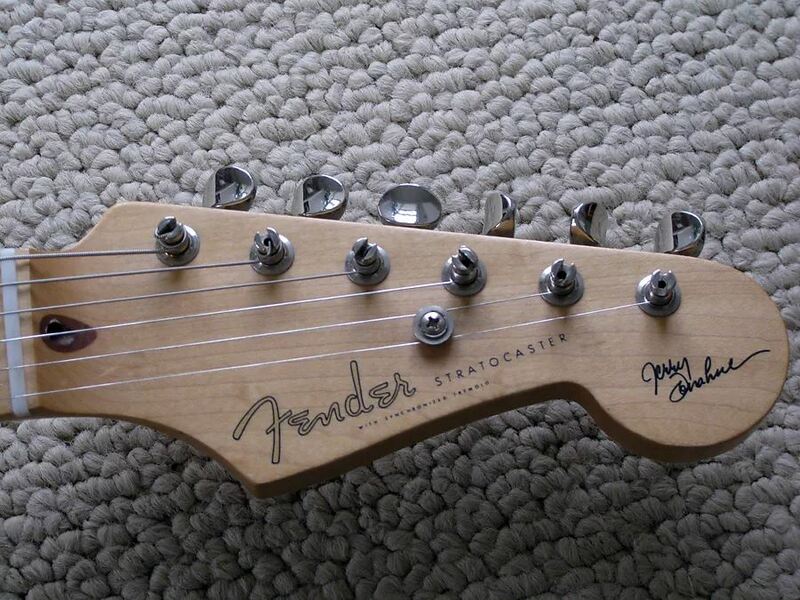 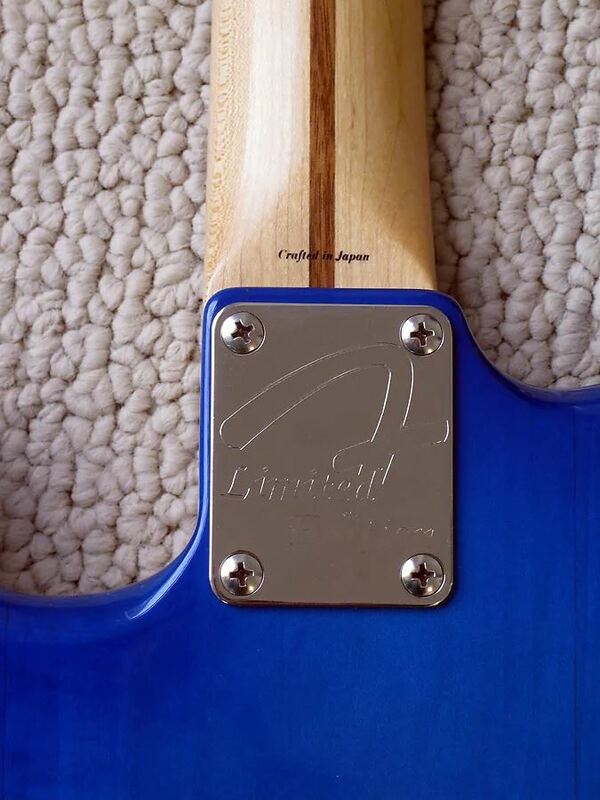 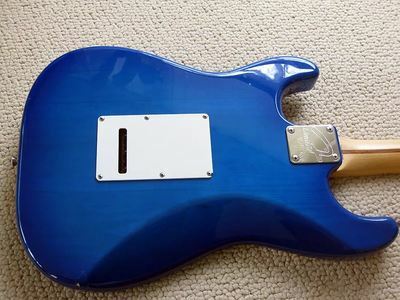 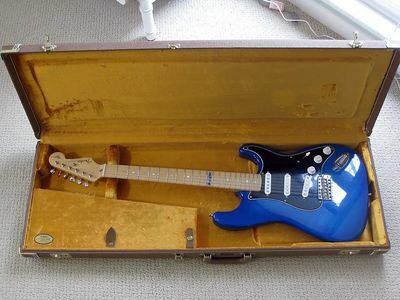 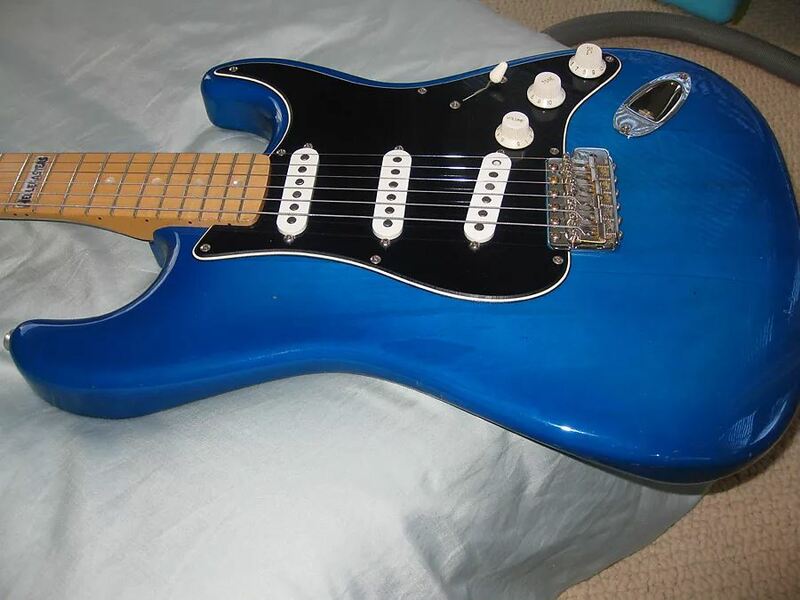 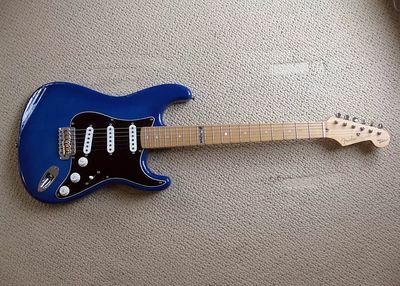 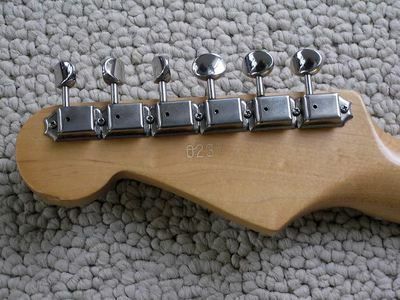 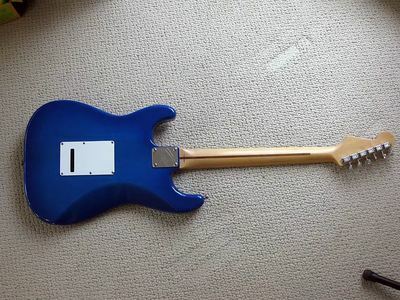 Neck Plate: 4-Bolt, "F", "Limited Edition"
A real wolf in sheep's clothing, the Jerry Donahue Stratocaster features a sapphire blue transparent basswood strat body with a midnight blue sparkle pickguard, and satin finish maple neck. 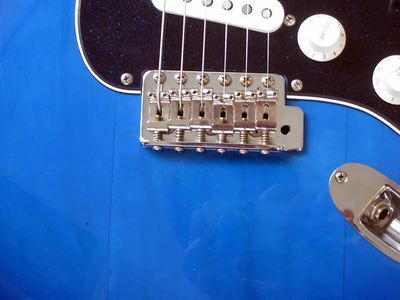 At the bridge is a custom-wound Seymour Duncan pickup with a special steel tone plate under the pickguard for a brighter, smoother and gutsier sound. 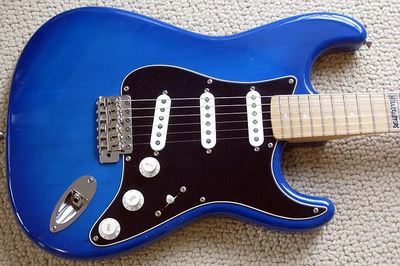 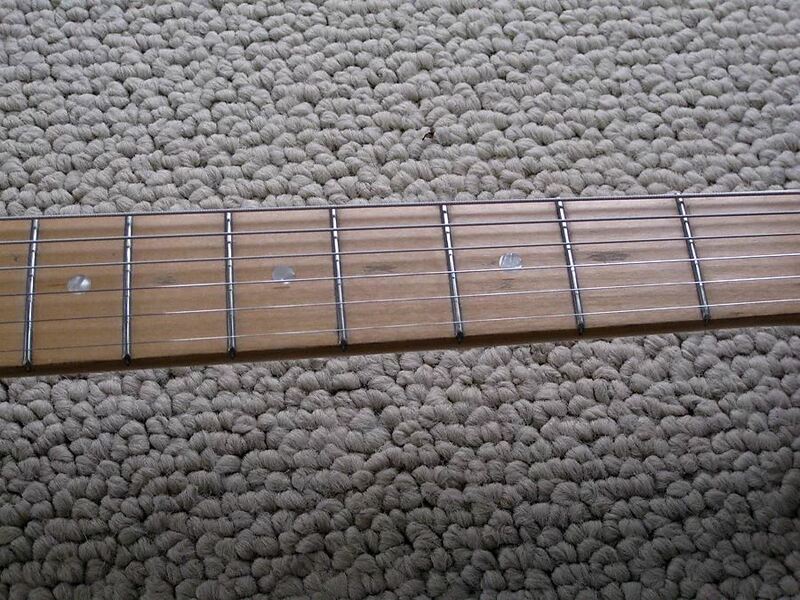 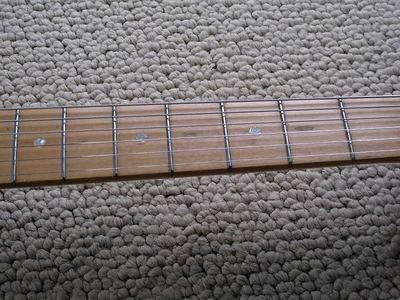 Middle and neck pickups are Seymour Duncan APS-2s. Electronics include a five-position blade switch, master volume and master tone and two-position rotary switch, adding even more pickup combinations!